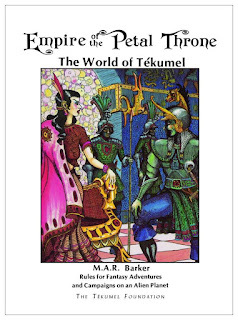 The latest re-release from the Tekumel Foundation is the book that started it all - at least as far as Petal Heads are concerned: Empire of the Petal Throne (EPT). Now available HERE in PDF or print form. The hardcover print version is $24.95, just shy of the price for the original boxed set. 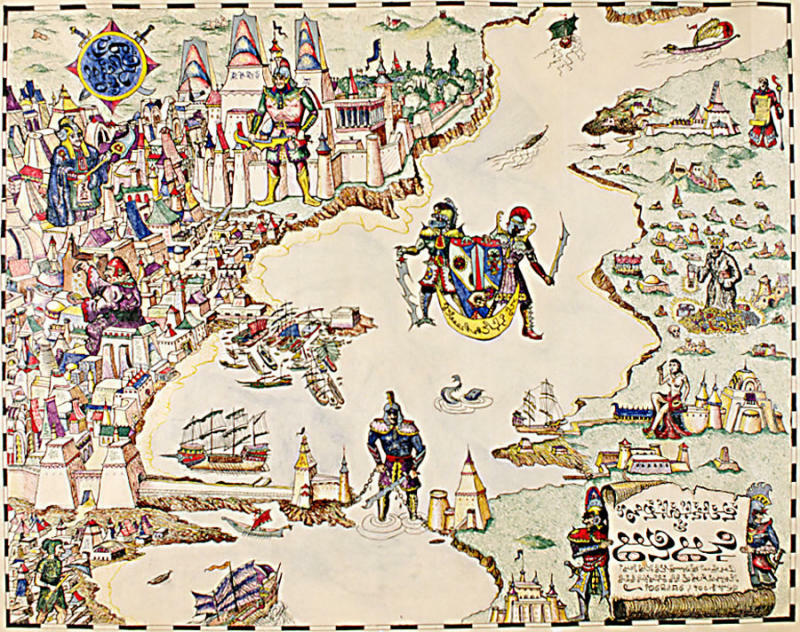 "... a four page set of charts and tables, errata for the original game, a map of the City of Jakalla, a b&w map of the Five Empires, and a citizenship document for Tsolyanu, the Empire of the Petal Throne!" Note that the original world maps and Jakalla city maps are available separately for $8 and $4 respectively. 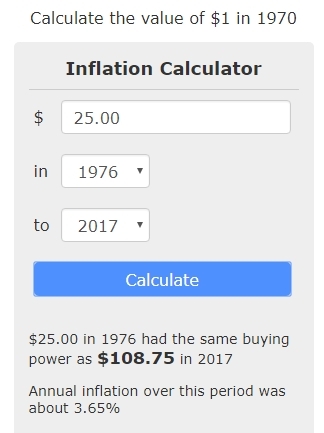 Out of curiosity I did a search to find out how much $25 spent in 1976 would be worth today. 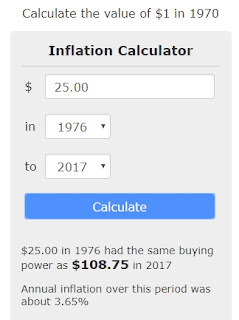 According to my source, the value in present day US dollars is $108.75 - per the screen-cap above. So I'm thinking this reprint is a pretty good deal! 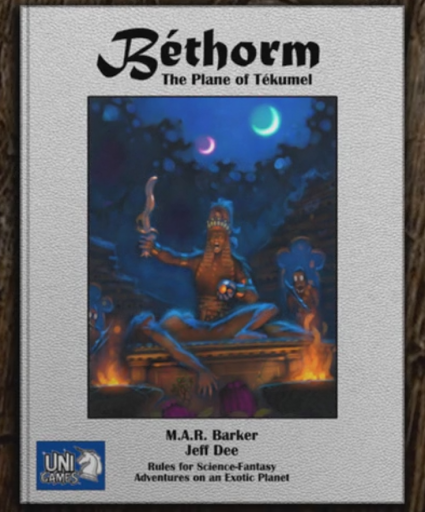 Reviews from R'lyeh has a recent review of the new version.